Ridesharing ain’t easy. The passengers we encounter range anywhere from “quiet and polite” to “drunk and incoherent” – and the ones who fall into that last category can be tough to deal with when you’re out there on your own. When I first started driving, I thought all I would need was my car, my phone, a steady hand on the wheel, and my favorite t-shirt. While that’s kinda true, I’ve found that it really pays off to be prepared for the variety of different situations one can encounter on the road. Now, I can’t imagine hitting the road without these supplies. Here, in order of importance, are the most useful items you can add to your ridesharing office (aka your car). A lot of these essential accessories and gear are great for Uber, Lyft, and other ridesharing service drivers but a lot of these items can also apply to those who are driving for Postmates, Doordash, Grubhub, Uber Eats, and other food delivery services. Click here to see gear specifically for Bird Scooter Chargers. Click here to see gear specifically for food delivery drivers. This is a comprehensive list of everything an Uber Driver or a Lyft Driver might find useful while they’re doing their driving. We’re not saying you should buy every single item on this list, but you may be able to find something useful that you haven’t thought of before. If you haven’t started driving for Uber, Lyft, Postmates, or Doordash yet, click here to sign up. We’re constantly adding to and updating this list as we test and review more products and gear. If you have any favorite products that you’ve found to be great to have, please let us know in the comments at the end! These items and gear increase the comfort and efficiency of Uber and Lyft drivers. Coming in at #1 is the trusty phone mount – a staple of rideshare drivers everywhere. The main benefit of having your phone up on your dash or windshield is simple: You won’t have to look down at your lap for directions every 30 seconds. This is a tremendous benefit to your safety (and that of your car). Plus, a phone mount can improve your ratings: Passengers appreciate being able to see the directions you’re following, and they always feel safer with a driver who has both eyes on the road. Here’s an overview of the top options. Magnetic: Many drivers like magnetic mounts, as they allow you to easily remove your phone when you need to make a call or send a text. A mount like these ones includes multiple magnetic backings that adhere firmly to the back of your phone or the interior of your phone’s case. Flexible and customizeable: For a sturdy non-magnetic option, these RAM mounts are the gold standard, with adjustable grip tension and a variety of other options. If you have a deep dashboard, you can even accessorize with an extension arm to bring your phone closer in. Unobtrusive: And if you’re looking for something unobtrusive, check out smaller vent-mounted options, like the Kenu Airframe. Cup Holder Phone Mount: this fits perfectly in your cup holder. It’s not on the dashboard or windshield. It’s easier to read and navigate because it’s right next to you, and cops won’t see you on your phone. A dashcam is the cheapest insurance policy you can buy (you should still look into rideshare insurance though!) – both for yourself and your car. Having a dashcam in your vehicle will not only discourage bad passenger behavior, it will also act as an objective witness if you’re ever involved in a collision or some other incident on the road. It starts recording automatically every time you start your car, and it both the road and the interior of the car simultaneously. This offers protection against both passengers and other drivers. Hopefully, you’ll never need to use the footage – but if you do, you’ll be really glad you got one. If you prefer to have a dedicated GPS unit instead of relying on your phone, click here to view our best car gps review. I love my coin side pocket! And it keeps my phone from falling in the crack (or as I like to call – the black hole). The most important reason for having a heavy, baton-like flashlight is to be able to see street signs in the dark. I’ve always had a first aid kit in my car even before I became a rideshare driver. I’ve only had to use it a few times, but those times I did need one it came in very handy. If you don’t take care of your neck while you drive, you’ll end up with a stiff neck and then you might not be able to drive for a few days after that, which is not good. A car head rest can keep your head and neck in perfect form while you drive. My friend says that driving for long periods of time makes him a little sore, but making the investment in one of these has been worth it, as he’s able to drive for longer periods of time. If you work in a higher-crime area or you work with a lot of drunk people, it could be worth carrying one of these with you, if it’s legal in your area. Check your rules and laws. There’s a reason I’m recommending polarized over non-polarized. If you haven’t tried polarized sunglasses before, grab a pair and see if you like them. After trying polarized I never went back to regular. It blocks glare and gives you a much more clear field of vision. There’s LOTS of different sunglasses on amazon and you’re sure to find one you like within your budget. Here’s a more expensive one. I prefer to invest a little more in things like sunglasses because you sometimes get what you pay for. The cheaper ones can get scratched easier, for example, and the polarization is more crisp and beautiful in the established brands. The Thermos can keep food cold for 7 hours and hot for 5 hours! I take soup with me on cold days. Insulated keeps your beverages cold or hot for long periods of time. My family loves to call me, so for me personally this best bluetooth headset has come in very handy! Not everyone feels perfect everyday. Whether you have an upset stomach or headache, sometimes it’s not worth calling off the day for some allergies. Instead, keep some medicine with you like pepto bismol, tums, and tylenol or stop by a pharmacy if you feel a little down. If you don’t live close to a pharmacy, keep some essentials just in case. This common medicine pack has everything you need for non-emergencies. This equipment can make your passengers more comfortable and happier during the ride, which might result in improved ratings and increased tips. If you’ve been driving for more than a few hours, you’ve probably had a passenger ask for a phone charger. Having a good one is important not only for keeping your own device online, it’s also a great way to offer something extra to passengers – without having to stock up on snacks or bottled water. When the USB standard was first introduced, it put out a relatively low amount of electric current. As screens and batteries grew bigger, the amount of electric current required to charge a device went up. That means your old 12v-to-USB adapter might not be charging newer devices very quickly (if at all) – and that can be a major nuisance to a driver who works long hours. This charger has four USB ports, all of which charge at a full 2.4 amps – so you’ll be able to power and charge a phone, a GPS, and a dashcam, and still have a slot left for passenger. Plus, it even has a surge protector and a microchip to determine each devices’ charging needs, so it won’t put too much current into a device that can’t handle it. Add on the Amazon warranty, and this might be the perfect car charger. The adapter alone isn’t the full story – passengers often don’t carry cables with them, and they really appreciate it when drivers go the extra mile and provide one. Although you can purchase “universal” cables with multiple charging tips for different devices, I usually steer clear of these. In my opinion, it’s better to get multiple cables – they’re usually longer (better for reaching the backseat), and if one wears out, you can replace them one at a time rather than shelling out for another universal cable. In my car, I keep one for Android and one for iPhone; it’s rare to encounter a device that uses something else these days. The cheap (and surprisingly durable) offerings from Amazon Basics are usually your best bet: You can also save some dough on these by buying in multiples! The all-important aux cable – both for connecting to the best audio system and playing either your music or letting your passengers DJ (if you’re so inclined). I like this one from Anker: The housings on each connector are made from reflective metal, making it more durable and easier to find in a dark car. You can also get a bluetooth Aux adaptor, it’s the same thing as an Aux cable but wireless! If you work busy areas or large events, finding passengers can be a huge hassle. Simplify the search with one of these awesome light-up Uber signs. Your passengers will appreciate being able to find you more easily, and you’ll appreciate less downtime waiting on people trying to hunt down your car. It’s also a helpful identifier for valet guys and parking attendants who love to give drivers a hassle – when they see the sign, they’ll know that you will be on your way soon, and may be less likely to give you a hard time about your parking decisions. Uber Lyft Sign LED Light Logo sticker Decal Reflective Bright Glowing Wireless Removable UBER LYFT New Sign Logo Decal Flashing Car Cycle Sticker White Light UBER LYFT Sign Decal Diameter of 4.6"
Passengers appreciate extra attention to details like this, plus sometimes customers leave junk and trash in the back seat and now they have no excuse not to throw their trash away. Don’t forget to stock up on water for your car. Whether it’s for you and/or for your passenger, and whether you want to sell it or give it away for free, it’s always useful to have water in your car. You can get water and other groceries delivered from Amazon Fresh. I’ve done a few trips out in Arizona during the summer and these greatly improved the comfortability of my passengers. They don’t really notice because they’re just on their phone the whole time, but they’re not squinting cause the sun wasn’t glaring in their face the whole ride. These products and supplies will keep your car looking like new and smelling like fresh. A win-win for everyone, a driver is happier when their car is clean and organized, and so is the passenger. Keeping your car clean is a key way to increasing ratings and tips. If you pick up a lot of passengers from the beach like I do, you’ll end up with a lot of sand in your car. Even in inland areas, passengers usually manage to track a fair amount of dirt into your car. Adding some quality rubber floormats to your ride will make cleanup a snap, and offer added protection against spilled beverages, rain, and so forth. These universal floor mats can be cut to size to fit most vehicles. WeatherTech also makes custom-fit mats for certain types of cars, so check to see if there’s a pre-cut option for your car before ordering! For a more permanent and/or classy solution to the above problems, consider investing in some seat covers. Amazon has a great selection of both universal and custom-fit covers for an assortment of different vehicles. Check out all the options here. Car washes can add up fast. Save money by going DIY and investing in some quality cleaning tools. For the exterior, I recommend these California dusters. They’re treated with paraffin wax to clean effectively without the use of sprays, and they’re made of 100% cotton to ensure your car’s finish stays scratch-free. Comes in very useful when someone comes into my car covered in dog or cat hair, or after a service animal has been in the car. Passengers don’t appreciate getting pet hair from the passenger before on them. It’s even caused me to los ratings! Very useful for wiping dirt, water, or condensation off of your windows. For cleaning up vomit or poking around the engine, it will keep grease off of your hands. Recommended by a reader in the comments below, Scotchgard Fabric Protector helps repel liquids and block stains without changing the look and feel of fabric. If someone spills something for example, you’ll be able to wipe the surface clean before it sinks in. These are ways to make more money while driving. 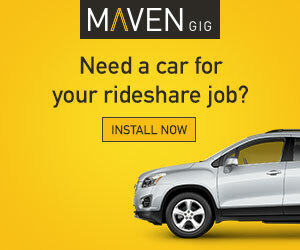 There’s lot of ways to make money while rideshare driving. A lot of people actually drive for Uber/Lyft to pitch their other businesses/services to prospective clients, which I’ve always found super cool. I personally do have a little tip sign and sell snacks and products like disposable chargers, which you’ll see below. ⚠️ATTN rideshare drivers. A new way to make more money while driving for Uber and Lyft. Click here to learn more. Freebird is an app that gives Uber and Lyft riders rewards. Promote Freebird to your Uber and Lyft riders and get up to $10 per person that signs up. Every passenger you give a ride to is an opportunity to make an extra $10. Freebird is an easy way to make more money while driving for Uber and Lyft. Get your Freebird promo code. With the recent ruling that Uber drivers can, in fact, accept tips, many drivers have taken to putting signs or small donation boxes in their vehicles. This is a great way to pick up extra cash on the job, and over time it could add some serious dough to your bottom line. This is especially true if you use a funny sign, or offer some extra amenities to passengers during trips! This one’s pretty expensive, but you can always make your own! A great way to display products for sale on the back of your seat. Put drinks and snacks right in front of your passenger, cause how could they resist the temptation? Here’s some popular snacks you can sell in your back seat organizer: Gum, mints, candy, jerky, trail mix, chips, drinks, 5 hour energy. You can buy and sell rain ponchos when a rain storm comes out of nowhere and catches everyone unexpected. Cargo is a startup that sends you a car vending machine with snacks FOR FREE. You just pay them when you sell the snacks. Click here to sign up for Cargo. 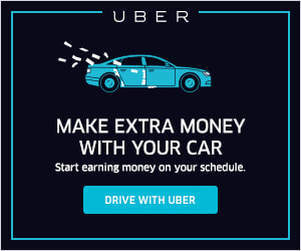 Here’s more ways to boost your Uber driver income. These gadgets are only useful for part of the year, but for that small part of the year don’t be caught without these essential rain and snow products. For those that live in very hot locations, these are great for keeping the car cool while you’re parked. A large 2-person umbrella for escorting passengers to and from the car, when they don’t have their own at least. Clients always leave a 5 star and sometimes tip extra when I do this. Mallory USA 532 Colors May Vary 26"
These items and gear will help you out if your car (heaven forbid) breaks down. Full of useful tools in case you get stuck in the middle of nowhere. I’ve always carried a set of these in my car even when I wasn’t working for rideshare. My car’s battery used to drain a lot and the car would stop working on me, so I carried one of these around. Turns out my after market stereo was draining my battery and I had to install a kill switch to my battery so it would stop doing that. If you live somewhere that’s more remote without a gas station on every block, it might be worth having one of these in your car. Did you know that driving with properly inflated tires can actually help you save gas? You get better MPG when your tires are at the optimum pressure. For filling your tire with air on the go – especially if you don’t have a spare tire. One time I bought a used car that didn’t come with one of these, and I didn’t find out until it was too late. Have you ever tried to change a spare tire and couldn’t get the lug nuts off? Breaker bars are long and heavy – perfect for getting the leverage you need to be able to get lug nuts off your tires, especially if they were screwed on too tight from prior service. You will need to purchase the right size drive, an adaptor, and a socket that fits your lug nuts. These are extra accessories that you can use to go above and beyond. These are not necessary to have. I personally love karoaoke so much that if an Uber driver did this for me he would get a $20 tip before I’ve even left the car. This thing cools food and beverages AND/OR warms it up if you want it to. Pretty schwifty. For those of us who live in places with paid carpool/fast lanes, getting the fastrak pass or whatever they call it in your area is worth it. San Diegans know what I’m talking about. You never know when you might be dropping that one last client off at their home which happens to be near the border, and you may decide that you want to take a quick trip over the border to have some fun. It’s nothing to be ashamed about, in fact, it’s encouraged. You deserve it for working so hard. 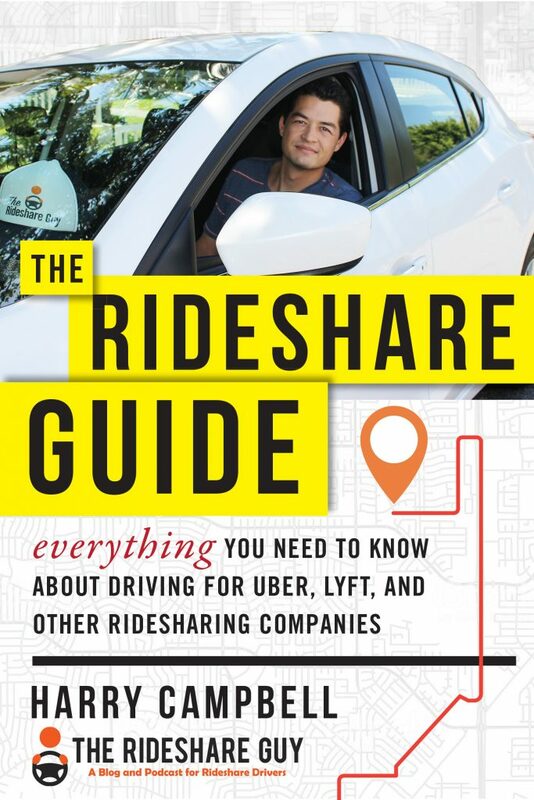 Lastly, don’t forget to pick up a copy of Harry’s Book on Amazon, The Rideshare Guide! Click here to view all of our t-shirts! Cheers! To all the rideshare drivers. 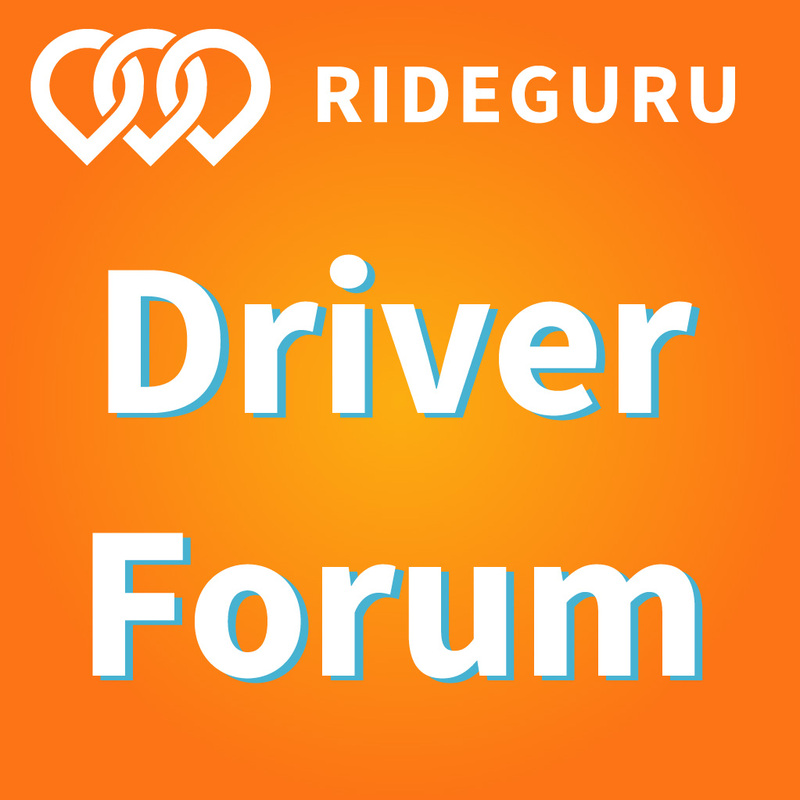 We hope you enjoyed reading this comprehensive guide on gear for rideshare drivers. We know how hard you work and hope that some of the items on this list help make your life easier when you’re out on the road. For more useful products and service tips and information, head over to our products and services page. We also have additional information on our resources page. If you haven’t started driving for Uber or Lyft yet, click here to sign up. Burnt Out Talking To Passengers? Deliver Food With Caviar! Make up to $25/hour. No minimum hours required, work outside, and get paid weekly. Click to Sign-up!